Internet Co has released Sound it! 8 Pro, a multi-functional and versatile audio editing, mastering and audio processing solution for Windows that features high-quality sound and the capability of sound design, support for high resolution audio (maximum 768K 32-bit INT), DSD native playback / recording, fully compatible with native 64-bit, professional bundled effects, batch processing and more. Support High-Resolution Audio: High-resolution PCM (DXD) maximum 768kHz/32-bit INT and DSD256/128/64 formats are supported. A user can load, record, edit, process and save as desired. Support for DSD Native Recording / Playback: A user can do DSD Native Recording and Playback without converting to PCM format. The supported DSD audio formats include DSD64 (2.82MHz/3.07MHz), DSD128 (5.64MHz/6.14MHz), DSD256 (11.28MHz/12.28MHz). An audio interface or AD/DA converter compatible with DSD Native Recording / Playback and ASIO Driver is needed. Restoration: Three types of Sonnox restoration plug-ins, De-Noiser, De-Clicker and De-Buzzer can accurately remove clicks, crackles and buzzes. 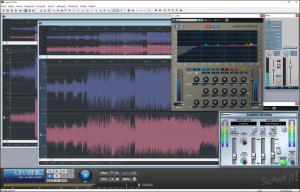 Bundled Effect plug-ins & VST2/3 Support: Sound it! 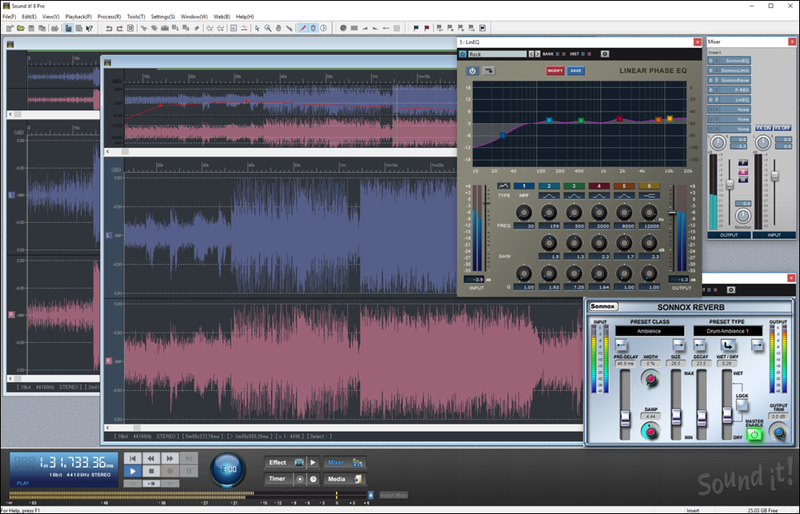 8 Pro comes bundled with 49 effect plug-ins including high-end Sonnox EQ, Limiter and Reverb, all native 64-bit and VST3. 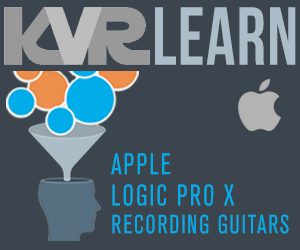 Support long term recording: Maximum recording file size is up to 100GB. This means the maximum recording time is estimated at 165 hours @ 16-bit / 44.1kHz / Stereo (CD quality) format. Automation Envelope: A user can draw automation envelopes of Volume and Pan / adjust them continuously. Batch Processing: Batch Processing is designed to be easy to use. Batch Processing functions include Insertion effects in the Mixer, Gain control, Normalize, Auto Level, Audio format conversion, fade-in / fade-out, and File format conversion. DDP Creation: A user can create DDP files and reflect ISRC and EAN to them. DDP is a format for specifying the content of CD and commonly used for delivery of disc premasters for duplication. Music CD Burning / Ripping. They demoed the Mac version at the AES show last week; looks like it's been available on their web site since Oct 1.